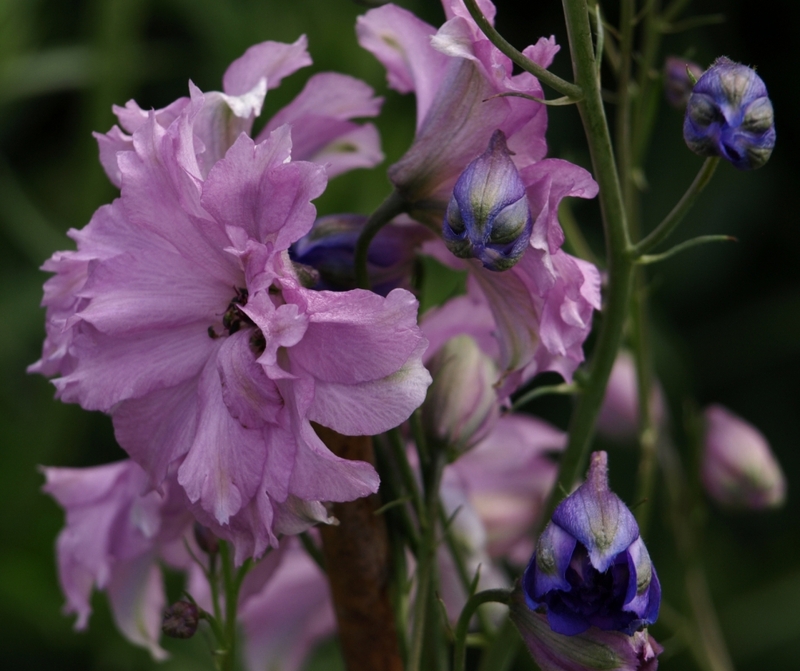 Then I heard rumour of a new strain of delphinium coming out of New Zealand, under the trade name ‘New Millennium’. 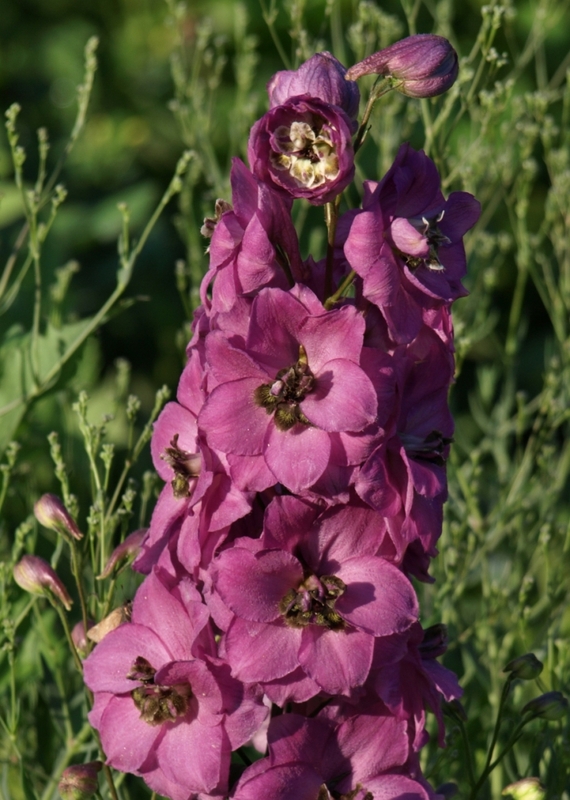 Seed grown, hardy in the colder zones, and strikingly beautiful. I investigated the website of the breeder, and highly impressed by what I saw there, and what I’d heard elsewhere – these were just then coming into commercial production and were receiving early rave reviews – I took the plunge. Off I sent for seed, taking a deep breath at the cost, NZ$18.50 for 50 seeds, which worked out to something like 35 cents per seed Canadian. But hey, if a substantial number sprouted, that’s not too bad, right? And they germinated promptly in reasonable numbers, and I ended up with a goodly number of young plants, most of which made their way to that year’s market, though I kept a few back for myself. Colour and form of every strain of these we’ve tried have been outstanding. 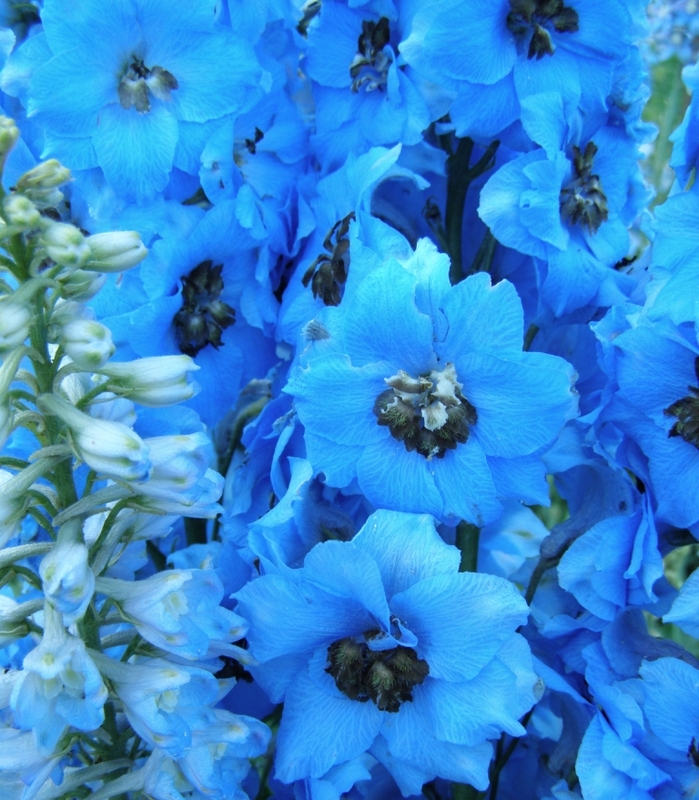 If you love delphiniums these will make you a very happy gardener! Most are traditionally tall, from 6 to 8 feet once established, with multiple strong bloom stalks from basal clumps of healthy foliage. Definitely prepare to stake these before they bloom, for though nicely sturdy they will snap off in summer storms if unsupported while in bloom. There are some shorter strains, which also need to be supported. The flowers are huge, and the bloom stalks very heavy. 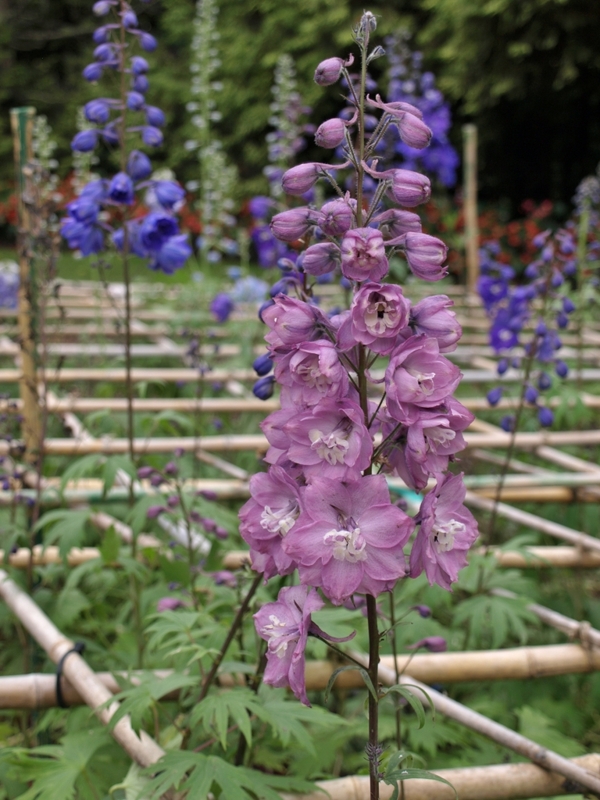 At Dowdeswell’s the delphiniums are grown through grids, and a planting I recently visited at Van Dusen Garden in Vancouver had done much the same, with bamboo stakes neatly tied together. In my own garden I use upright stakes, but the grid idea has a lot of appeal, and would definitely be best in a dedicated planting to save much time and energy over tying every stalk up individually. 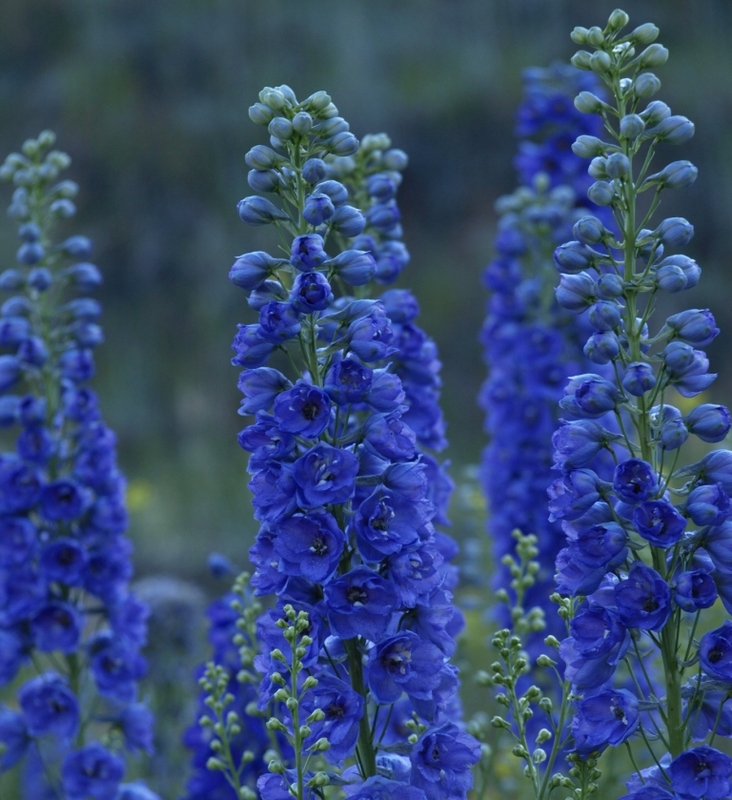 Delphiniums of all sorts thrive best in rich garden soil, with average moisture. Full sun is preferred, though they will take very light shade for part of the day. Here are the named ‘New Millennium’ strains we’ve grown so far. 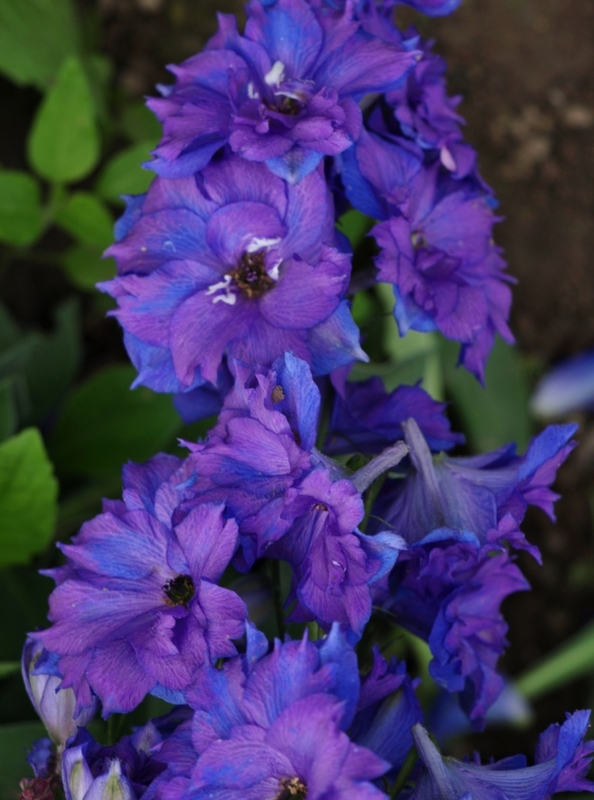 The following photos are from the breeder, and, from what we’ve personally experienced, do truly reflect the quality of these flowers. For more, take a look at the Dowdeswell’s website.